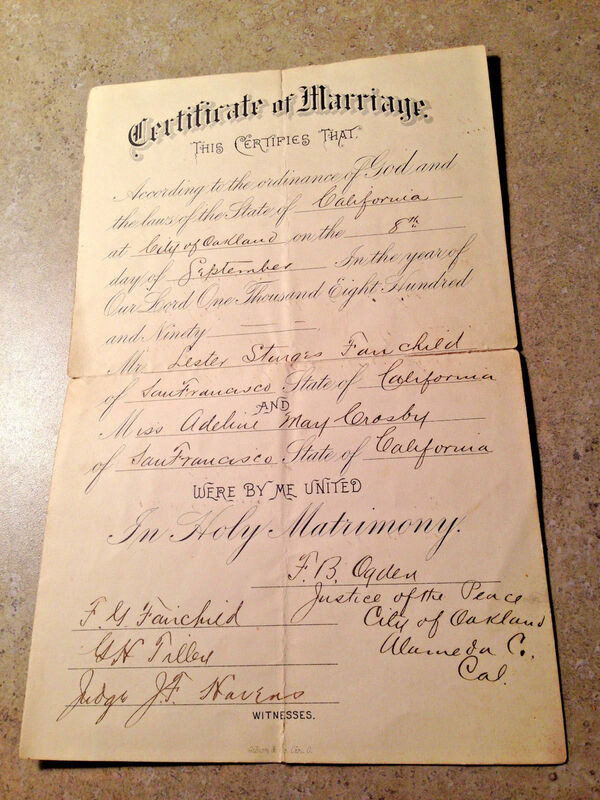 There are so many artifacts, documents, journals, and photos you would love to add to your family tree. 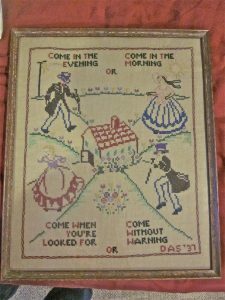 Even if you can not locate all for your family branches, how about giving back a bit, and help reunited a family heirloom to its rightful family. Probably millions of “lost” family items are out there, waiting to be found in flea markets, second-hand shops, online auction listings, perhaps even your own closets or attics. There can be ‘genealogy heroes’. even YOU, who claim these “orphaned heirlooms” just long enough to research and contact living relatives who would love to find them. Whether it’s a family bible, an old marriage certificate in a dusty frame, a fading photo album, or a pile of old letters, each “orphaned heirloom” is unique–and so is the experience of tracking down its family and reuniting them. The online site of eBay is an excellent method to see what is out there. Plus it does not have to be solely individual families, if you find something that could be important to a community’s museum, donate that item. It is a method of ‘pay it forward’, just taking your time to find an artifact and then the proper family. 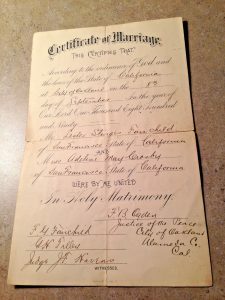 Photos: Vintage Family Photo Album – 1910s – on eBay; vintage marriage license for Lester Fairchild and Adeline Crosby in 1890 in Oakland, CA. 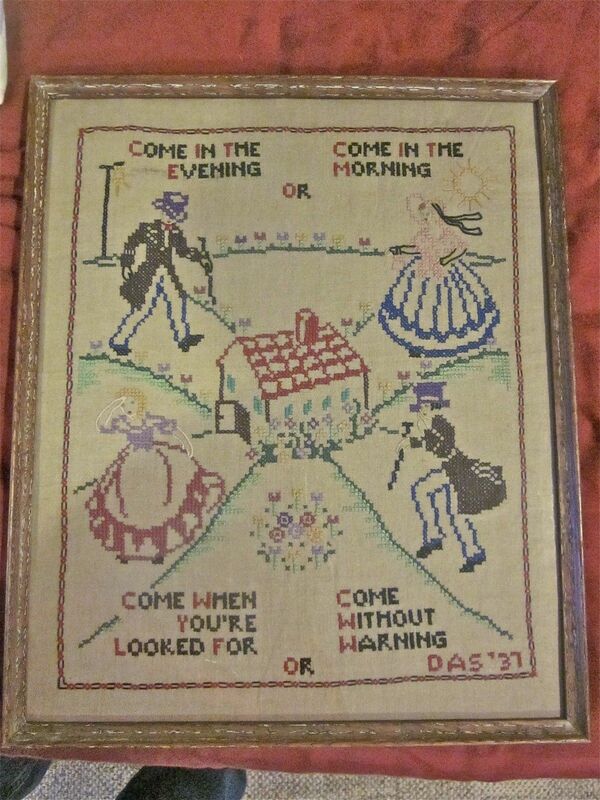 and a 1937 vintage sampler.